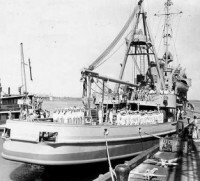 Carnelian (PY-19) was built as the yacht Seventeen in 1930 by Bath Iron Works, Bath, Maine; purchased by the Navy 13 May 1941 ; and commissioned 7 June 1941, Lieutenant Commander G. L. Hoffman, USNR, in command. 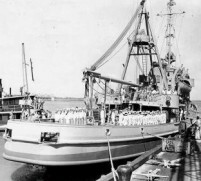 Carnelian arrived at Jacksonville, Fla., 23 February 1942 for patrol duty in the Caribbean. 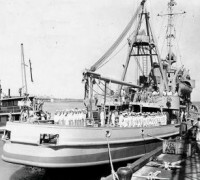 Later based on New Orleans for duty escorting convoys to Galveston and Key West, Carnelian provided essential services to the Gulf Sea Frontier in its great task of guarding a wide area with minimal forces. 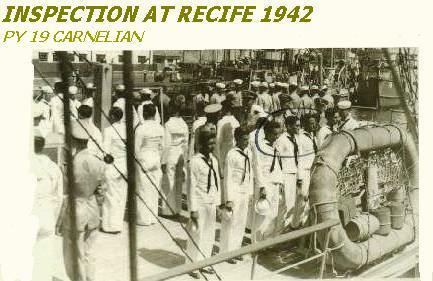 From November 1942 through January 1944, the converted yacht screened convoys, composed primarily of tankers with precious cargoes of oil, between Trinidad and Recife, Brazil.